The 15B will take you in and out of the city passing stocking lane. There is a bus stop right outside the estate. Also the 161 bus from Edmonstown. Bus can be picked up at the stop beside our bridge from Prospect Manor onto Edmondstown Road. It goes roughly every 1/2 hour from Tibradden to Dundrum Town Centre & Luas stop. 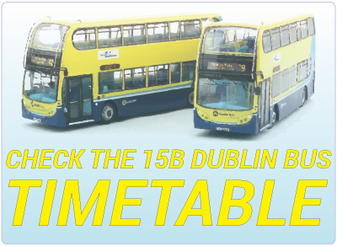 ​Click on the link to go directly to the 15B timetable. Bustxt A Dublin Bus timetable service delivered via text message (SMS). 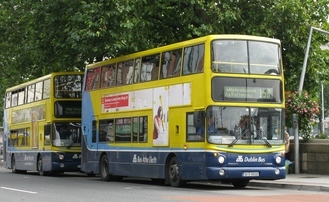 You can access Dublin Bus timetable information by text. This service is called Bustxt and is available on all Irish networks. Bustxt is easy to use, reliable and quick to reply. Send BUS followed by your route number e.g. 'BUS 15b' to 53503 for the times of the next 15b buses. You will also receive other bus numbers that serve similar areas. Texts cost €0.30 plus standard rate SMS including VAT. Service provider: Centium Ltd, Bellewstown, Co. Meath, Helpline 01-8734222.